For those of you that aren’t in Pittsburgh, it seems that some other larger cities participate as well, so you might want to Google it for your area. 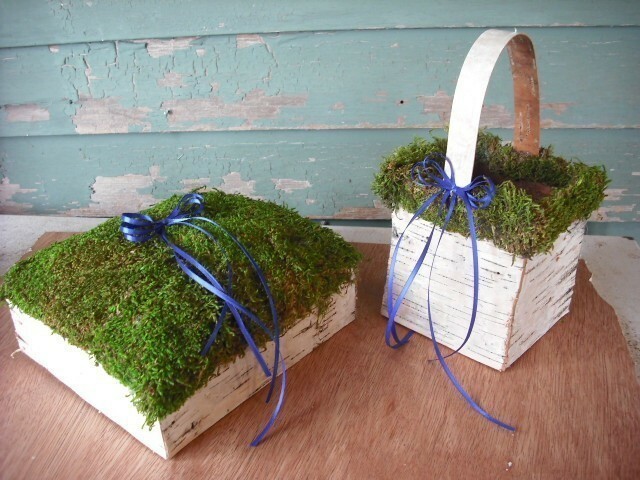 Stumbled across this today on Etsy.com and thought this would be perfect for someone having a nature/outdoorsy themed wedding. I haven’t bought from the seller, so no first hand experience with them, but I just thought this was a cute find and wanted to share. Thank you for your interest – this offer has been filled. please contact us for additional information. We look forward to talking with you. Thank you for your interest – this offer has been filled. If you are interested in scheduling an Awaiting & Arrived session, please contact us for additional information. We look forward to talking with you. We are currently seeking a few women in the Pittsburgh area who are between 7 and 9 months pregnant to expand our soon-to-be-launched Maternity & Newborn website. If selected, you will receive a free mini “Awaiting” (maternity) session as well as a generous discount offer on an “Arrived” (newborn) session. You will sign a model release allowing us to use your images for promotional purposes. Our Fresh Faces session will run for about 45 minutes. All sessions are done at your house or at another mutually agreeable location. Shoots are to take place within the Pittsburgh area, however, if you are outside the area, you may still be eligible for a complimentary session by paying a travel fee. Please read the FAQ and then contact us to set up a session date. How long is this running? Once we fill the openings we wish, we may close the offer without further notice. If you are interested, contact us to set up your shoot right away. How many pictures will I get to choose from? Sessions vary, but you can usually expect to see at least 15 images. What’s a model release? When you set up a session we send you a link to the agreement which contains the model release for you to complete. The model release explicitly permits the studio to use the images in promoting our services. How does this work? After you send your information, we will review it. For those selected, we will initially contact you by phone to talk about setting up the session. After the shoot we will process images and will upload the images to a gallery where you may view all the presented images. The gallery will be “live” for one week. Our online gallery makes it easy for you to view and purchase images. You are under no obligation to purchase anything from us, although we hope that you love what we present and want images of the first chapter of your baby’s life. How is this different than a regular session? A regular session typically lasts longer and provides you with more images to select from. Can my significant other/child(ren)/animal be part of the shoot? Yes, but keep in mind that this session is focused on the expecting mom, so additional people will only be photographed with the mom-to-be and may not appear in many images. However, due to time constraints with these mini sessions, we limit the number of subjects to a maximum of 3 people. If you would like photos of the other individuals, we encourage you to book one of our regular sessions for them. What should I wear? We will discuss particulars if you are selected for the shoot. What if I need to change our session time or date? Please be courteous and call us in advance. As these are complimentary sessions, we may not be able to reschedule, so we urge you to keep your appointment. More questions? We’d love to talk with you. Email us through our CONTACT button at the top of the page, directly (info at andreakellyphotography dot com) or call us at 814.937.0397, we will be happy to answer your questions! Thanks Kristy! I’m hoping to get a few moms-to-be for this…if you’re on any of the “mom social boards” and you know of anyone in the Pittsburgh area, please be sure to pass along the information to them. Someone will be very lucky to win this!! I should know!!! As always, your work is amazing Andrea! I wish I was pregnant again just for the photos! Some albums arrived and are getting prepped for shipment! I can’t tell you how exciting it is to see the final product when it comes in – online previews of the layouts just don’t begin to give the true idea of what it’s like to hold these in your hands and go through the pages. So excited to be getting these out. Some images of Maia & Chris’s wedding album. They got a 12×12 Fine Art Book with the duplicate 8×8 Fine Art parent book. The larger size for both is just awesome and makes a huge difference. With the Fine Art Book, we opted for a charcoal grey exterior, which I just love and their names are in the same color as a color picked up in Maia’s gown (it had a beautiful peachy- champagne color to it). A picture from one of the page spreads. One of the things that I just LOVE about these albums is that we are able to design a spread without worrying about a cut down the center. The crease is extremely discrete – the image where Chris is kissing Maia’s forehead is where the crease is located. A fun filled spread showing just a few of the highlights of guests dancing and having a great time at the reception. Love to include one of these pages in an album. And just a quick image showing the thickness of the pages – the book itself is about 1 1/4″ and the pages are semi rigid, with a matte finish…the paper makes it look just like a museum piece. Next up is a sweet “Awaiting and Arrived” book for Krista and Craig. These books are press-printed beauties with a hinged page, allowing the book to open completely without “hoving up” in the center. Krista and Craig opted for the linen cover on their book. It’s a slim book filled up with memories that “little Miss C.” will be thrilled to look through when she gets a bit older. If you have questions about albums, we’re happy to talk with you about the numerous options we have available – just email or call us. Wedding Photographers vs. Volcano…who wins? Sometimes I get asked by prospective clients, “Well, Andrea, what happens if you can’t make it to our wedding?” It’s a good and valid question, of course. At times, people are a little harsher and ask, “What if you die before our wedding?” Yikes! Well, luckily, I can assure you that I have absolutely NO plans of dying any time soon…I’m relatively young-ish (late 30’s) and in good health – though I’m trying to get rid of a few pounds (did I mention that I love the metabolism drop that happened to me in my 30’s?) But, I understand their concern that I will be there. So, yeah, you’re wondering by now, what me dying has to do with volcanoes. Right? I’m getting there…by way of Eyjafjallajokull, the Icelandic volcano that has been in the news due to it’s recent eruption and resultant air travel disruption. Interestingly, professional wedding photographers are a fairly tight group – while we are scattered across the country and the world, we have online forums that make us into a family of sorts and we’ve got one another’s backs. I just saw this phenomenon in action again for this past weekend – probably on a larger scale/greater distance than ever before. One of the members, posted an urgent message message on Thursday the 15th. He was to fly from the US to Ireland to cover a wedding that was taking place on Saturday, only to find that air travel throughout Europe was being completely shut down due to the volcanic ash. There was simply no way for him to get there in time for the wedding, even if he was able to re-route his flight and then take trains and ferries to Ireland. Literally, within an hour of the post, two members of the forum from England stepped forward to say that they would get there. And within 4 hours, they packed up their gear and began the journey (drive, ferry ride, drive again). 13 hours of hard travel later – they arrived in time to begin coverage. In the meantime, another forum member was in Moscow where he had just finished giving a seminar and it appeared that he would be unable to make it back in time for his weekend wedding in Dallas, TX. The original photographer who was not able to fly to Ireland stepped forward to fill in for the member who was stuck overseas. Some of the resulting images have been shared on the forum – and they are nothing short of amazing. I think that each of the photographers (who are phenomenal to begin with) brought a little something extra special that day. Again, I have seen this type of stepping forward within our photographic community on several occasions. Every single time, I am in awe of the amazing people that I am fortunate enough to know. So, knowing that I am in a community that is not only local, state, or country wide, but instead worldwide, should help to ease the minds of those who are concerned that I might die and not show up to photograph their wedding. For Erynne & George, we last got together for an engagement session on a cold fall morning at Erynne’s alma mater, St. Francis College in Loretto, PA. In spite of us all about freezing, I had a wonderful time with them. It was wonderful to have the opportunity to see them again on their wedding day. During her planning, Erynne sent me a fantastic inspiration board which gave me a little peak into what to expect for their wedding day…this was a fantastic thing to get – I love getting a feel for what the couple has in mind for their wedding. The day started off with Erynne getting ready at the lovely Cameron Estate in Marietta, PA…truly a beautiful location. We had to deal with a bit of drizzle throughout the day, but everybody just took it in stride. Love the image with Erynne having her makeup applied – if you look to the right, you can make out her dress hanging in the background just waiting. And, I loved her sweet Stuart Weitzman shoes. It seems that many of my brides wear the same shoe size as me…I think it’s so that they can torture me more was I wear my super practical Danskos. Loved the variety of flowers and berries used in Erynne’s bouquet. Crystals from Erynne’s grandmother’s necklace were incorporated into her bouquet and with the gardenias, it smelled absolutely amazing. My macro lens is wonderful for getting the close up details of the flowers..they would be fantastic printed up as square canvas to decorate an area. With the photo on the left, I turned away from everyone and shot through the mirror to create a bit of a frame to draw your eye in – you can just feel the Erynne’s anticipation rising as finishing touches are completed on her dress. When Erynne was facing away from the windows, the room was very dim, so to light her, I believe that my assistant was holding off camera lighting in that photo. Love big, beautiful churches with balconies. During ceremonies – small moments are easily forgotten…the soft loving touch on the back, the glances as the officiant is talking…these are things that just take you back to the day immediately and help rekindle all the feelings. The drizzle continued throughout the day, but we were able to get out for just a few minutes to get a few pictures with the Rolls Royce before it left for the day. The grounds are so beautiful at Cameron Estate – wish that we could have gone out to get some additional photos. Father and daughter during their dance together…really, words would just take from the moments. The bakery did a fantastic job in matching the theme of the invitations with the cake decorations. Lovely! Beautiful capture, Andrea. Love it! The father/daughter shots are my favorite! Beautiful job Andrea! How do you make a wedding for approximately 300 guests come together in a matter of two months? Courtney and Anthony did just that. Due to Anthony’s service to our country, they opted for a short engagement. I was amazed at how everything fell together for them so quickly – obviously, it wasn’t without hard work, but totally worth it! One of the things I love about Holy Name is that it’s possible to move along the sides of the church to get a view of the couple’s faces while the ceremony is going on. I really love the image on the right where Anthony is touching Courtney’s ring. Chestnut Ridge looked so beautiful with the calla lilies in the vases, white linens and seat covers along with the black ribbon sashes. The pink roses on the cake were a really lovely touch to give a bit of color. Though we didn’t have a lot of time, we hit the beautiful light as the sun was going down and got some wonderful images for their Romance Session. Courtney and Anthony – it was wonderful working with you. Best wishes! Stunning images of a stunning couple! Such perfect moments captured and details that will always help them remember their day! Beautiful work!